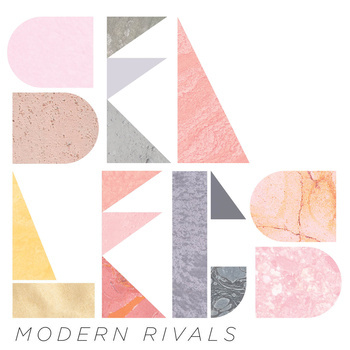 To introduce us to the music of Brooklyn’s The Modern Rivals, their press release helpfully describes their material as “seamlessly integrating the good bits of pop music with exploratory intricacies”. Quite right too. So, basically, it’s experimental but you can still hum along to it. 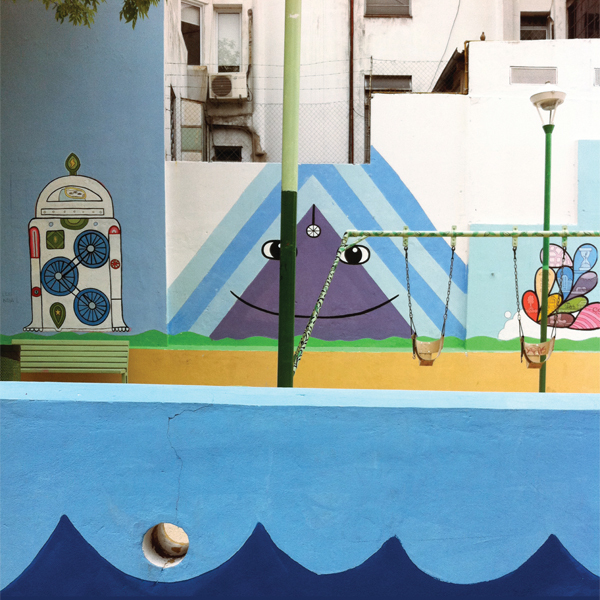 ‘Sea Legs’, their second EP, was mixed by Chris Coady who counts Beach House and TV On The Radio as past clients. From start to finish it’s easy to see why Coady and the group fit so well together. ‘Defenestrate You’ builds on a maelstrom of swirling keyboards and Beach Boys “ooh ooh” vocals; effortlessly recalling the dreamy Americana of The Flaming Lips in the process but there’s also echoes of Deerhunter in the song’s haunting conclusion. ‘Clocks Vs. Darts’ is no less ambitious and colourful but it’s main calling card is the yearning vocal. The third track, ‘Small Bell’, opts for a winning combination of starry, sparkling atmospherics and a very real sense of melancholia to make it sound like a twisted Disney song. ‘Riku’ only disappoints because it sounds like a slightly inferior and less complex version of the three other songs but it’s actually a good song in its own right. It’s always hard to judge the true greatness of a group after a mere fifteen minutes but there’s three great songs here and one which is merely good. Based on that ratio, surely their dreampop opus i.e. a full album’s worth of songs, can only be an inevitability. Upon encountering Jon DeRosa’s music, courtesy of last year’s ‘Anchored’ EP, it was hard not to draw parallels between his journey and that of Richard Hawley. Both were largely unknown for their vocals in the early part of their career and then came to the forefront as modern day crooners some time later. 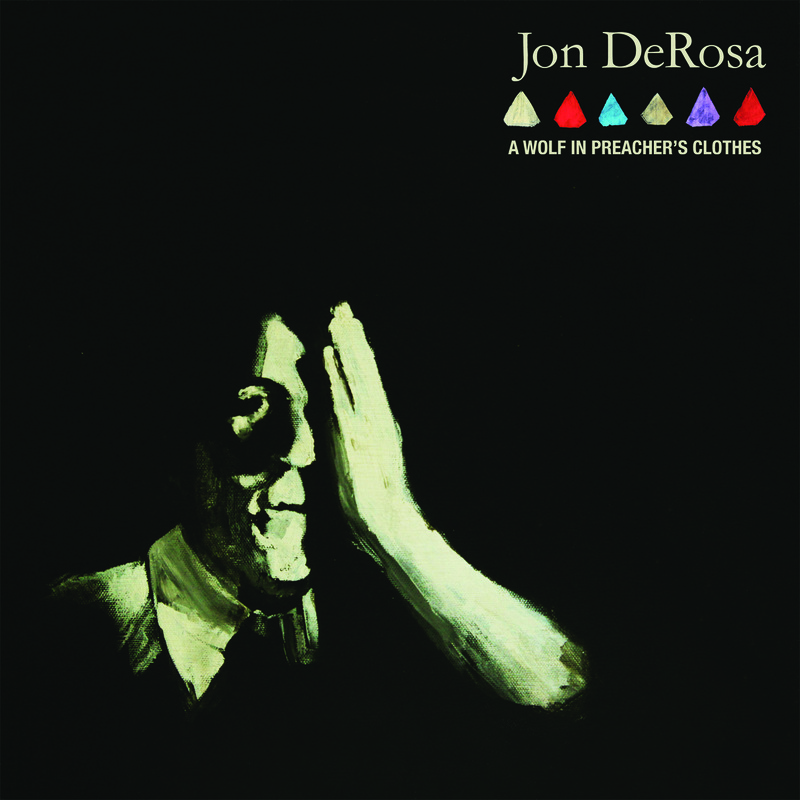 ‘A Wolf In Preacher’s Clothes’ is DeRosa’s first album and one wonders why his voice was hid away for so long. The New Yorker’s delivery is rich, expressive and elegant like The Divine Comedy’s Neil Hannon when he wasn’t being too theatrical. ‘Birds Of Brooklyn’, ‘Ladies In Love’ and ‘Teenage Goths’ revel in 1960’s classy trappings and ‘True Men’ harks back to the crooners of at least a decade further back. There’s even a respectful and very lovely cover of The Blue Nile’s ‘Easter Parade’, which emphasises the stark beauty of the original but also introduces a tender American viewpoint. However, as it happens, DeRosa impresses most on the most modern-sounding material. ‘Snow Coffin’ came from the earlier EP and stands out for its light but insistent post-punk rumble whilst excellent last track, ‘Hollow Earth Theory’, emphasises his indie songsmith credentials. ‘A Wolf In Preacher’s Clothes’ is undoubtedly a classy album and the arrangements wisely put DeRosa’s vocals to the forefront. Having said that, if more risks were taken and he concentrates on post-1980’s styles and beyond, DeRosa could be pushed into levels of further greatness. “World fusion influenced dark rock”. 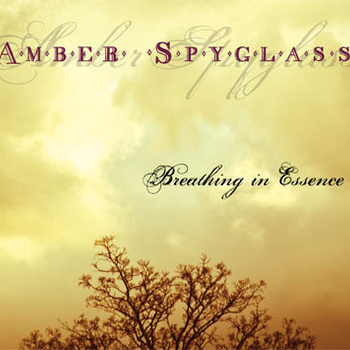 This is the prospect awaiting curious ears for Amber Spyglass’ latest release. From their press shot, Boston’s Kelly Godshall and John DeGregorio seem to be modelled on Siouxsie Sioux and Budgie, if their favourite colour were red instead of black and this could be a clue to their overall sound. Ushered in on a wave of ululations, insistent percussion, guitars and strings, ‘Harmonic Tide’ tells us immediately that Amber Spyglass are a melodramatic duo. It’s a rather confusing start since there is so much going on and not all of it in synchronisation but the emotive pull of Godshall’s performance strives to keep the song together. ‘Unfortunate One’ sounds more like a group effort but once again the second half of the song demonstrates that DeGregorio and Godshall don’t share the same vision. Positioned at the centre of the EP, ‘On The Wire’ appears to be the focal point; its seven minute length can be a bit of a slog but it has a sweeping, epic feel which is powerful and the elongated coda at least gives listeners chance to get their breath back. Credit too for ‘Violent Silence’ and ‘Like Lost Lovers’, where the two protagonists slow down the pace and their folk credentials come to the fore, even if the latter meanders a tad too much. ‘Breathing In Essence’ is an odd EP where the core duo really should opt for a less is more approach but even though the material is flawed, each track has enough good moments to keep your attention. It will be fascinating to hear what they come up with next. 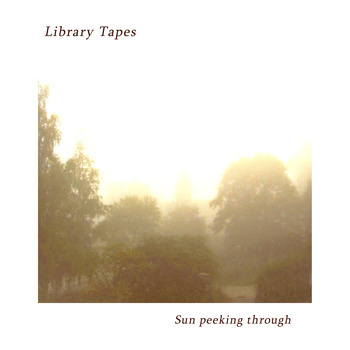 Library Tapes is the primary musical outlet for Sweden’s ambient/modern classical composer David Wenngren. Whilst much of his early material has focused around piano, field recordings and static, most recently he has clocked up an appearance on the 1960’s-themed BBC show Inspector George Gently. Perhaps what is most surprising now is that Wenngren is showcasing an optimistic side to his performances, aided by a trio of string players on ‘Sun Peeking Through’. Thirty minutes of music are bookended by ‘Variation I’ and ‘II’, which are unusually busy with static, the sound of machine noise swelling and subsiding, with the one constant being the tinkle of piano. What occurs in between, however, is in closer touch with human emotions. As if to satisfy classical fans, ‘Parlour – Variation I’ is nothing but piano and strings. So far so pleasant but on the third track, the towering ‘Found’, the album moves from the pretty to melancholic and grand. As a perfect example of how the pieces develop, by the time of ‘Parlour – Variation II’ and ‘III’, Wenngren has moved from the comparatively tentative steps of part ‘I’ to strident, colourful melody. Then most impressive of all is the beautifully sad ‘Lost’, which possesses a cinematic sweep fit to score a multitude of romantic/tragic epics. The only mark in the debit column is that many of these compositions are so short, that what emerges is an album’s worth of elegant but wonderfully-formed fragments. Expect the soundtrack offers to keep on coming but more importantly, there’s a fine album here which is as moving and stirring as modern classical music can be. 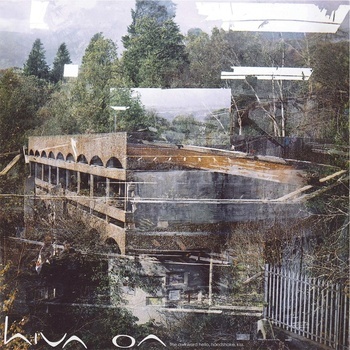 Hiva Oa are an Edinburgh-based trio revolving around musicians known only as Stephen, Christian and Marco. Their material encompasses acoustic, post-rock and folk music. As the title of ‘The Awkward Hello, Handshake, Kiss’ suggests, this seems to be music for sensitive souls but there are plenty of shocks and surprises along the way. What will strike listeners most about Hiva Oa is the level of intimacy they create. From the moment Stephen begins singing on ‘Clouds’ it’s as if we are privy to an intimate secret, whilst his guitar plays the barest of melody and Christian’s cello joins in close by. ‘The Minder’ sounds even more like a secret conversation, with an uncredited female singer providing a gorgeous trembling vocal. Contrast this with the violent abandon of ‘These Hands’ and you have a very intense, emotional opening to the record. The second half is more experimental (not that the first half sticks to any safe formula, it must be stressed). ‘Mindful Of’ is like waking up on an early morning and peering through a haze of shoegaze and drone. ‘Badger’ uses a disorientating mix of loops, cello and distant cries as if representing being lost in the woods, then a wave of crashing percussion adds a brutal end to the melodrama. In conclusion, ‘The Awkward Hello…’ is a compelling listen, whether the messages are delivered in a conciliatory whisper or a blast of noise. At their quietest, they resemble a British version of Low but when they’re loud, they emulate early Hood. ‘Runner’ is the tenth album from Chicago’s The Sea And Cake. When we last heard from them, courtesy of ‘The Moonlight Butterfly’, they delivered six songs in just over half an hour; nevertheless it was pop music with a progressive, experimental edge. ‘Runner’ is a longer record but the songs are more concise and emphasise their pop credentials still further, even if it’s pop influenced by non-pop genres such as jazz and Krautrock. For this record, frontman Sam Prekop recorded the synthesizer parts to the songs and then the remainder of the band were tasked with shaping them, improving them and – in some cases – rejecting them. The end results are impressive though and represent the cohesion honed from nearly twenty years of recording together. Opening tracks ‘On And On’ and ‘Harps’ are as good as the group have ever been. The former rides on its relentless rhythms whereas the second witnesses the perfect marriage between Prekop’s contented sighs and quietly insistent synths. A smooth sound is maintained until the mildly rough and ready ‘Skyscraper’, where guitars let rip and even Prekop sounds unusually urgent but the balance is soon restored by an acoustic number called ‘Harbor Bridges’, which provides the most gentle moment on an album that certainly seeks to caress rather than alarm the ears of the listeners. The album ends with the title track and is a return to the never more languid times of 2000’s ‘Oui’ album. One could argue that, overall, not too much has changed in the world of The Sea And Cake and they would have a point. Their songs still glide along as if it were always summertime in Chicago but beneath the sunny exterior there is some real brainiac pop genius at work. Gaining inspiration for music often comes from getting out and about in different places. In Sean Renner’s case, he didn’t have to go too far for inspiration since it came from the century-old townhouse he calls home in St. Louis. You can tell from the way the piano notes resonate for ‘Prelude’ that his choice of studio space is a smart move. The majority of tracks though have a heavy reliance on Renner’s gentle and highly likeable vocals. For the stunning title track, for example, they are pitched at their most tender and heartfelt level, whilst strings, piano and guitar add to the incredible warmth of the song. That juxtaposition of piano and voice are in perfect unison again for ‘Prayers’. Then, in an unexpected detour from subtle expression, ‘Messenger’ offers a rare glimpse of danger via its threatening array of violin and ominous, pounding drums. There’s a strong sense of Irish singer/songwriter in the style of Renner that is certainly appealing. 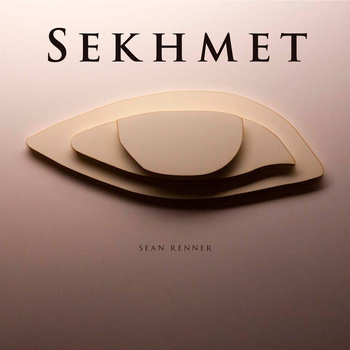 ‘Sekhmet’ may lack the edge to make it a great album but it is likely to provide comfort and warmth to anyone who takes the times to listen to it.